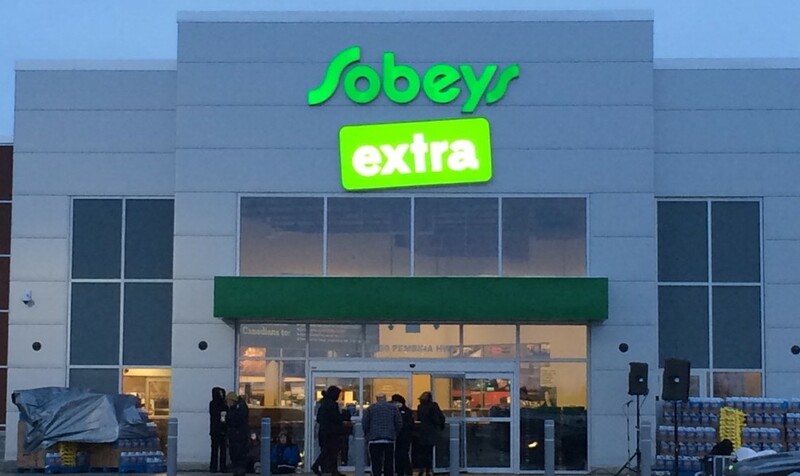 Sobeys Extra Pembina Grand Opening – Enter to win a giftcard! 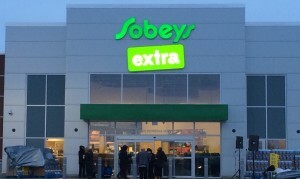 The new Sobeys Extra store on Pembina is now open! There’s tons of great deals for the grand opening, you can check out the flyer here and see all the deals! Sobeys Extra means you get extra departments, extra experts and services, extra products and extra savings – all backed by Sobeys 100% Satisfaction guarantee. 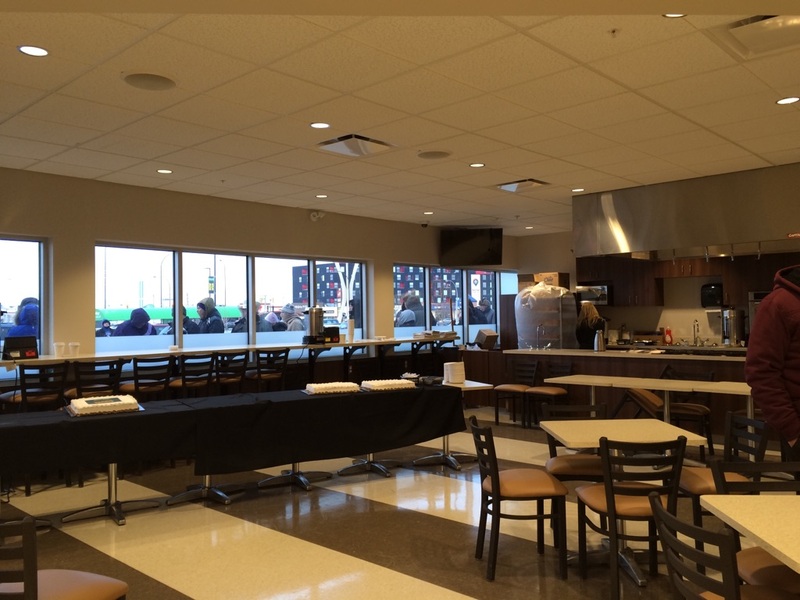 Some of the special features in an Extra store are a Sobeys kitchen, sushi and noodle bars. Huge cheese and deli meats island, pet boutique, community room and much more! It’s a whole new experience! Another really cool part is that they have an in-store team of experts – things like a chef, cheese ambassador, dietician, wellbeing counselor, community room coordinator – pretty amazing! The community room sounds amazing, they’ll be hosting all kinds of classes – cooking, nutrition and wellness! And you can even rent it out for birthday parties or events! So fun! I can imagine all kinds of neat ideas for parties in that room – great location in the city for parties too! The new Extra store looks amazing – love all the amazing produce and cheese section and pretty much everything! So much great fresh food, beautiful colours and lots of healthy choices. It’s a one stop for your regular groceries of course, but things like party and special events too. And thanks to Sobeys Canada – we have two $50 giftcards to give away – so two lucky winners for this one! 1- Comment with which section at Sobeys Extra appeals to you the most. 2 – Like Sobeys on facebook and comment that you did so. 3 – Post up this giveaway as your facebook status and comment that you did so. 4 – Tweet out the link to this giveaway and comment that you did so. Giveaway is open to all Canadians and will end Tuesday Feb. 2nd at noon – good luck everyone! Winner will be contacted via email and giftcard will be mailed out. Winner will have 48 hours to respond. I really like the pet boutique section. I have 2 dogs and a cat so this appeals to me. I love the noodle bar! I’m excited for the Sobeys kitchen! It’s going to be a great option for picking up a last minute lunch on my way to work! I’m also looking forward to all the possibilies of the community room. South Winnipeg has needed a store like this for a long time! Love the sushi and noodle bar! I’m looking after my Mom’s condo right beside there, I might need to make it my regular shopping place! My favorite section is the produce. They have it set up to make everything look very appealing and fresh. 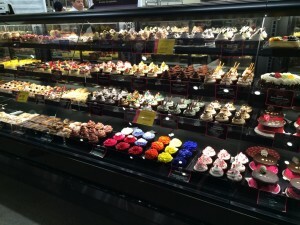 The Fresh fruit and veggie section is so artistic, but I am looking forward to the Noodle Bar! posted as my status on Facebook. The new pet boutique really appeals to be being a dog and cat owner. I think the Noodle Bar would be my go to. The Birthday area is very intriguing. I wish they would open another one or convert one of the ones in Transcona or EK to this type. It sounds amazing! Liked & Shared on FB, & tweeted 🙂 Thanks for the great info and opportunity to win. I’m most excited to finally have fresh produce within walking distance!!! My daughter’s & I will really like the noodle & sushi bar. I have followed sobey’s on fb & shared this post on fb. Liked sobeys on Fb! 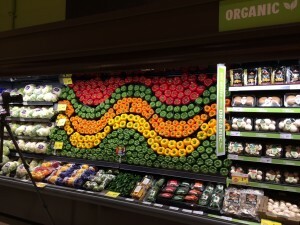 Made contest my status and the produce section looks amazing! I’m looking forward to the variety in the produce department – I’ve been shopping at Co-op a lot lately, and the selection there is very underwhelming. I’m looking forward to checking out the whole store! Hopefully get some new inspiration for dinners my kids will love. Already like Sobeys on fb. I love that they have an on-site dietician!!! The community room sounds wonderful! Noodle bar, all the way! Although my husband would LOVE all the beautiful sushi. 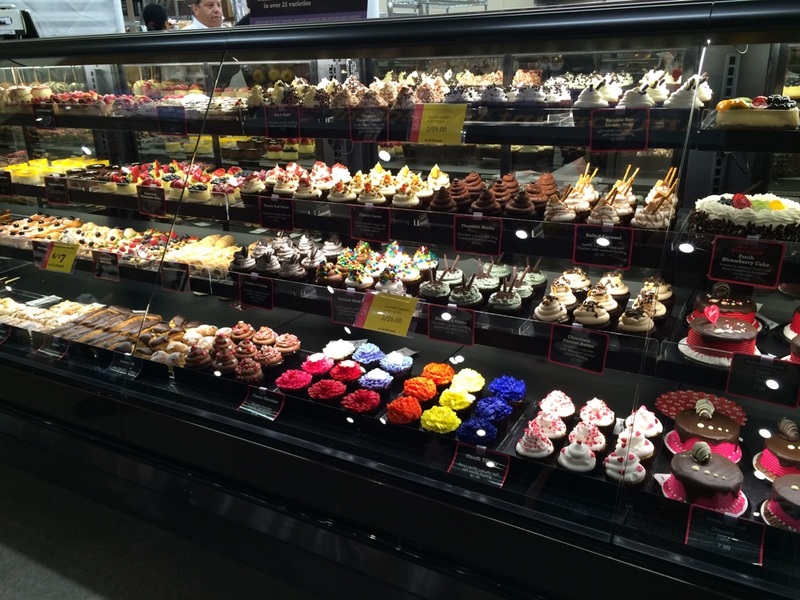 The bakery section appeals to me. The meats/ seafood section. Shared and was already liked on Facebook David Swim. Retweeted @Swimmingly_ We live in the area of the new south Winnipeg Sobey’s Extra and its very exciting. Very much needed in this area. Thanks for the chance. The sobeys kitchen appeals to me. Posted and liked on the Winnipeg Sobeys Extra website. Thanx! I liked their fb page and I really like their fruits and vegies section. I didn’t get in this morning. The line up was too long but hope to visit soon. The Sushi and noodle bar will be a definite stop. The noodle bar sounds cool! The bakery and the organic produce section appeals me the most. I liked the Sobeys facebook page. I posted this link to my facebook page as Judy L, as well as my twitter @Dreamlylovely. I am excited about the cheese section. The bakery section! That picture of all the rows of different cupcakes looks amazing. I’d check out the huge cheese island. I love their produce section! Rainbow ribbons of sweet bell peppers line a wall. Amazing and beautiful! Don’t forget to eat your veggies! 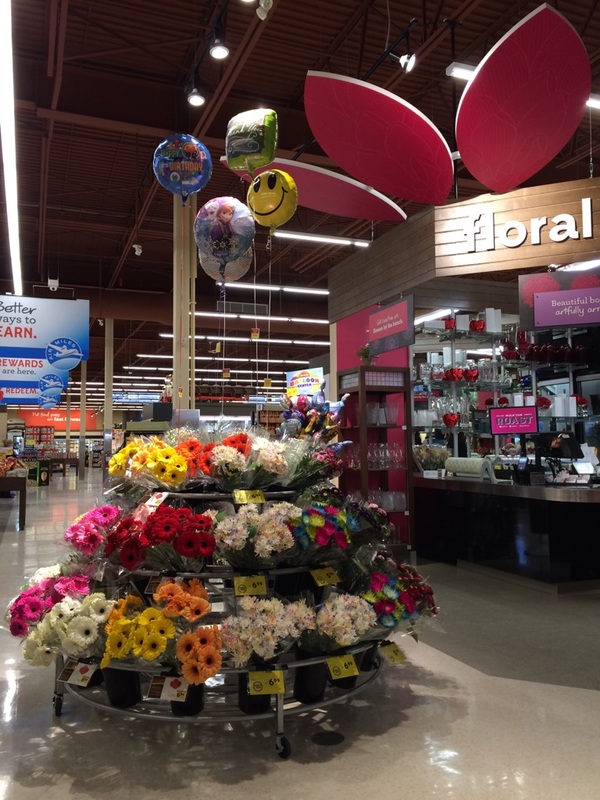 and….. Good job Sobeys! I’m a huge cheese lover, so the cheese island is where you’ll find me most of the time! I like Sobeys on Facebook. I’ve posted this giveaway as my Facebook status. I think I would enjoy the access to the experts. Posted to facebook – thanks! The produce and cheese section looks amazing . I”m in ! posted as my status on FB! The cheese section appeals to me!! Definitely the noodle and sushi bar! The produce section appeals to me the most. Love the sushi and noodle bars! I would love to use that community room. What a great idea! I think the bakery looks great! 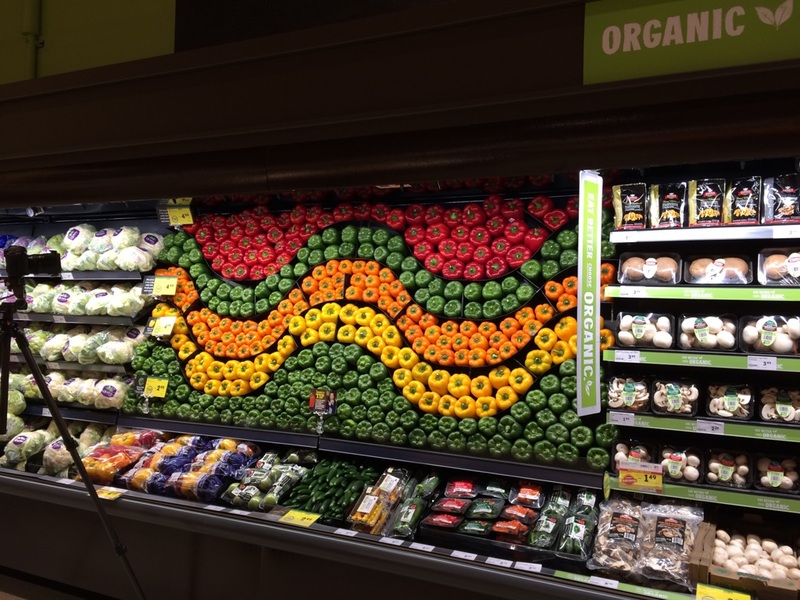 The produce section looks amazing! I can’t wait to check out the pet boutique! The sushi bar sounds like something I need to check out. The displays look very interesting and eye catching! The vegetable area looks like it has a great selection! 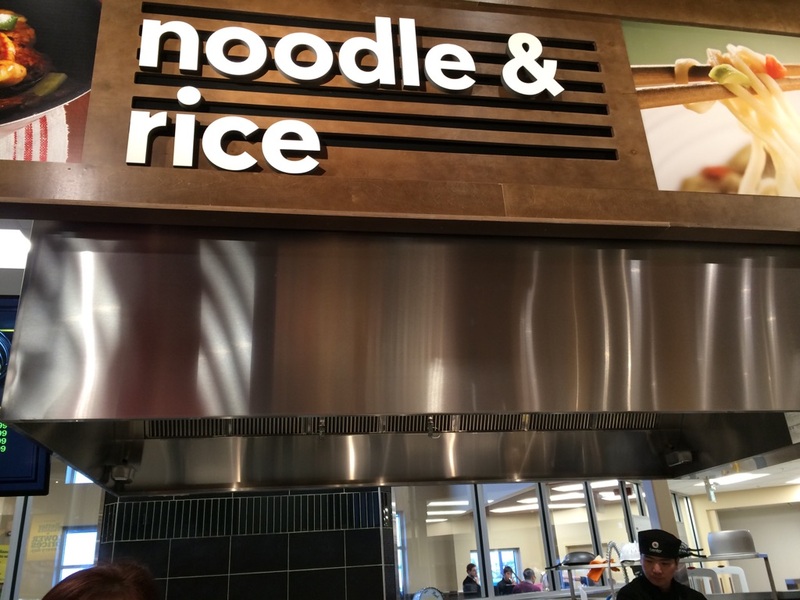 The sushi and noodle bar sound awesome and a great place to grab lunch! The Noodle Bar sounds interesting!! The produce section is what appeals to me the most about this new sobeys! Like the idea of the cheese ambassador! I would like the pet boutique! Ohhhhh the produce and cheese! I liked the Sobey’s page! 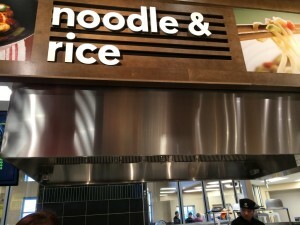 Looking forward to checking out the noodle bar! 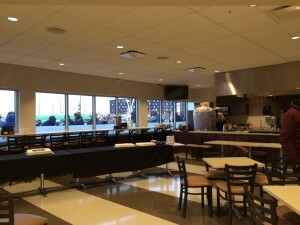 I’m excited about the community room…it makes Sobeys so much more than just a grocery store! I LOVE LOVE LOVE the idea of extra savings!!! !